Just for a Clear picture of Sensex Support lines. I zoomed into Sensex GANN charts for your view. 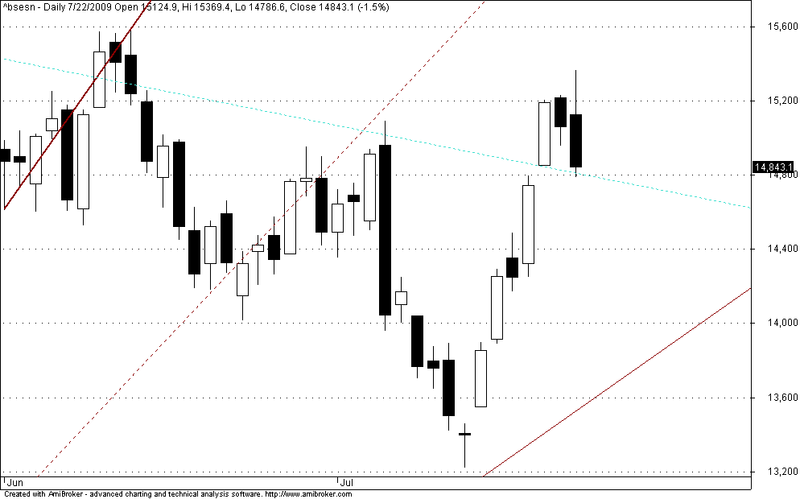 GANNSupport Trend line now coming near to 14800. Nifty Hourly Trading Charts for 25 Oct 2010 Nifty hourly(spot) ichimoku shows that nifty is in buy mode with ichimoku cloud support comes near 6028-6047 zone. Very good observation, i am also tryign to study gann, eliot and fibonacci. Such post are guide me and increse my self cnfidance about my study and findouts.Please reply and suggest me to improve my technical study.